Jean is presently training in the Netherlands, getting ready for the upcoming season. Last year, the Lachenaie native made a switch of ice surfaces. Without officially retiring from the 111m track of the short track circuit, it is now on 400m tracks that he gets up to speed. I still recall meeting him last year before he left for Calgary to seriously try long track. A huge fan of inline speed skating, Jean was ecstatic that long track speed skating would now have mass start distances, a type of race that is close to what the inline speedskating circuit is known for. 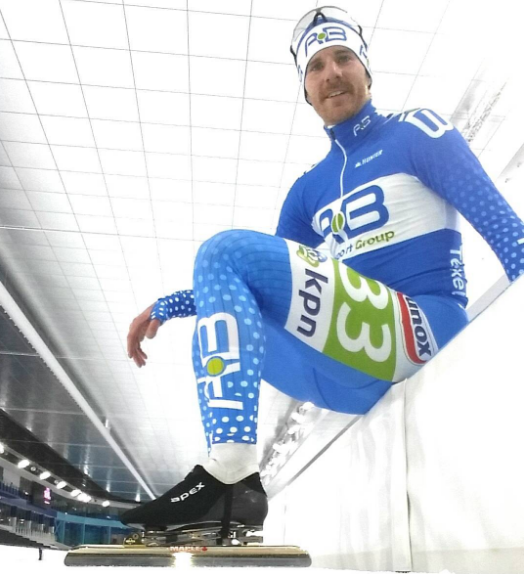 On his first season representing Canada on the long track circuit, Jean won a bronze medal in the mass start event at the World Single Distance Championships in Gangneung, South Korea. The same ice that will be used for the Pyeongchang Olympics. It would be hard now to doubt his new endeavour. In the last few weeks, he was mostly rolling his way to top shape either on his bike or inline skates. He is training with Team Clafis alongside other top athletes like Jorrit Bergsma, Irene Schoutten and Heather Richardson-Bergsma. From Lachenaie to Montreal passing by Calgary on his way to the Netherlands, Jean goes where he needs to be to live his athlete life to the fullest. 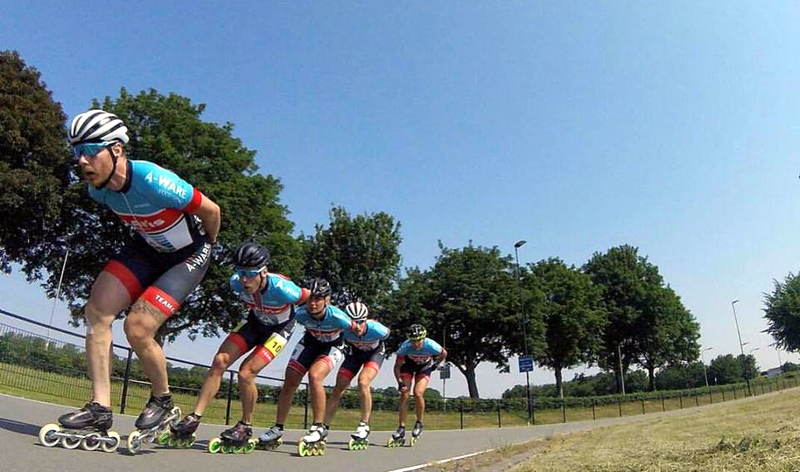 On team Clafis, competing in ice skating, inline skating and cycling competition is part of the routine. For certain events, the team is spilt in two: AB Transport, for whom Olivier Jean skated last winter and A-Ware. 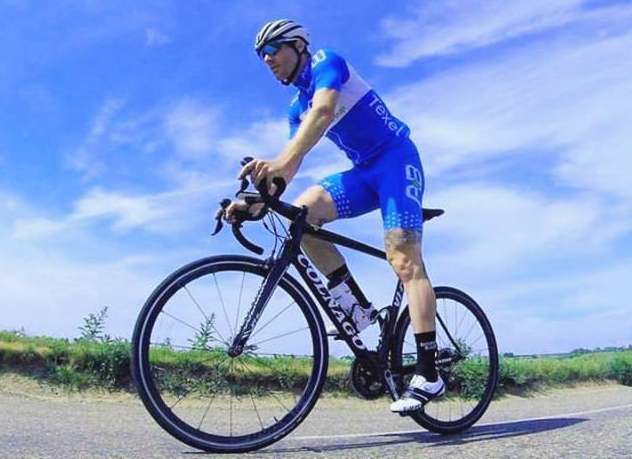 Even though part of what he is doing now is pretty close to what he was doing during his years of training with the canadian short track team, the length of the training sessions is really different. Countless hours of cycling and really high paced inline skating rides are part of the plan. Still, he has a different training regimen than some of his colleagues that are competing in long distances events. He needs to keep his sprinter qualities. They are his trademark as an athlete and are really helpful on the type of events he is competing now. Without hesitation, Olivier Jean says that on every aspect of training, what he is doing right now with the Clafis team is a notch above anything he was used to in Canada. Olivier Jean’s career is inspiring. Success came late compared to other canadian stars, but he kept on pushing hard. He didn’t care about small talks and politics and focused on what he could control: winning races. When he realised maybe it would be better for him to use power rather than finesse, he made the necessary changes and ended up being crowned World Champion on 500m. After his successes on short track, he wanted to know what he could accomplish in long track and last year's results showed that it was a good idea. The upcoming season will surely be an exciting one for the smiley canadian athlete. Already pre-qualified for the fall events of the World Cup circuit, a 16th position or better overall after those four events would automatically qualify him for the Pyeongchang Olympic Games. If for you and I the winter Olympic Games represent two weeks of our lives every four years, for athletes like Olivier Jean, it is already on.